Demetrius I Poliorcetes (“the besieger”) (c.337-283 BC) was the son of Antignos I the One-Eyed. He aided his father in what became the epic wars of theDiadochi (dìàd´ekì) [=successors]. In 308 BC, Demetrius I succeeded in defeating Ptolemy I of Egypt in a naval battle off the coast of Cyprus when he was 29. In 305 BC, Rhodes was besieged by Demetrius I who employed some 30,000 workmen to build siege towers. His most famous siege tower was known as the Helepolis and required 3,400 men just to move it. He even built a 180-foot ram that required 1,000 men to move despite being mounted on wheels. Still, with all this effort, the siege failed. Nonetheless, it was the siege of Rhodes by Demetrius I that gave rise to the Colossus of Rhodes, which was the inspiration for the Statue of Liberty in New York donated by the French after World War I. The Colossus of Rhodes was completed by the sculptor Chares of Lindus after 12 years. It was made of bronze and portrayed the god Helios. The material came from the spoils left behind by Demetrius’ failed siege. The huge bronze statue stood 120 feet above the harbor and became known as one of the Seven Wonders of the Ancient World. While legend claims that the statue straddled the harbor allowing ships to pass between its legs, it is more likely that it stood along the shore until it was destroyed by an earthquake in 224 BC. Finally, in 301 BC, at the Battle of Ipsus in Phrygia, the ambitions of Antigonus came to an end. Antigonus was slain in battle at the age of 81 by the forces ofLysimachus and Seleukus I. Still, Demetrius I did not give up. He was determined to take the throne of Macedonia and rule Asia. In 297 BC, Kassander (Cassander) (358-297 BC), king of Macedon (316-297 BC); and son of Antipater, one of the Diadochi, died. It was Kassander who murdered Olympias, mother of Alexander the Great in 316 BC and Alexander’s widow, Roxana, and their son in 311 BC. Kassander had married Alexander’s half sister, Thessalonica in 316 BC and was one of the coalition that defeated Antigonus and Demetrius I at Ipsus in 301 BC. With Kassander out of the way, the door to Greece and Macedonia was open. In 295 BC, Demetrius I invaded Greece taking Athens after another bitter siege this time successful destroying its tyrant Lachares in the process. After recovering Athens, Demetrius I murdered his competitors and seized the throne of Macedonia in 294 BC. With most of Greece and Macedonia now under his rule, Demetrius I once again looked upon Asia and the aging members of the Diadochi. His ambitions sparked the formation of yet another coalition led by Lysimachus of Thrace and Pyrrhus, king of Epirus, with Seleukos I and Ptolemy I joining to block Demetrius’ plan to invade Asia. Finally, in 288 BC, Demetrius was driven out of Macedonia by Lysimachus of Thrace and Pyrrhus. Demetrios was deserted by his troops and eventually surrenderd to Seleukus I of Syria in 285 BC, who kept him prisoner until his death in 283 BC. In Egypt, Ptolemy I abdicated his throne to his son Ptolemy II in 285 BC shortly before his death in 283 BC. This left the last remaining members of the Diadochi Lysimachos and Seleukos I of Syria. 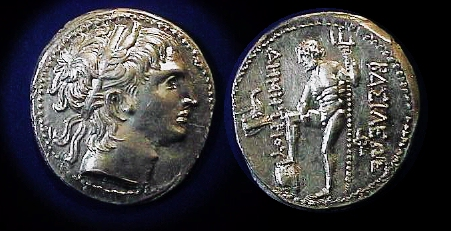 In 281 BC, Seleukos I, who was 78 years old at the time, made a last attempt at power. Seleukos I turned and attacked Lysimachus, who himself was 80 years old. At the Battle of Korupedion (Corupedium) in February of 281 BC, Lysimachos died defending his kingdom to the end. In the aftermath, Lysimachos’ kingdom of Thrace disappeared from history. Seleukos died shortly thereafter in 280 BC. 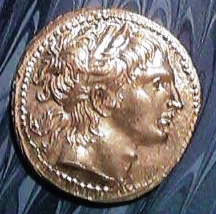 Antigonus II (277-239 BC), son of Demetrius I, made good his father’s claim and took the throne of Macedonia once again in 277 BC.